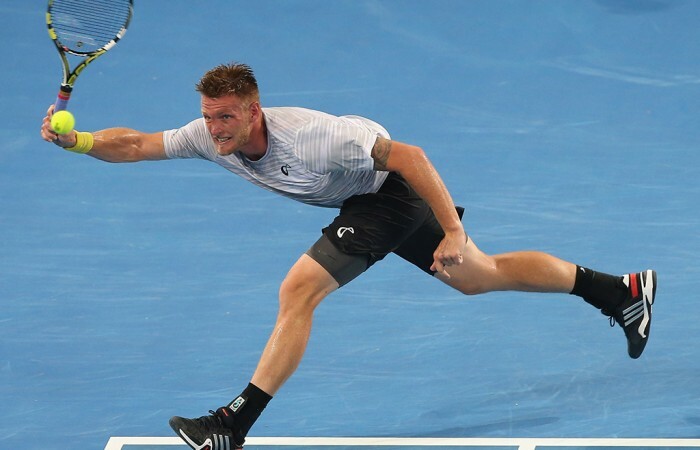 Although his great run at the Brisbane International on Friday came to an end against Jeremy Chardy, Sam Groth picked up a healthy pay-cheque plus valuable confidence going forward in 2014. A year ago a $13,335 cheque for reaching the quarterfinals of the Brisbane International would have meant the world to a tennis battler like Sam Groth. 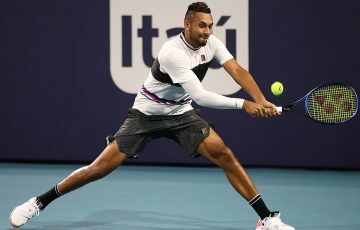 The 26-year-old Victorian has spent the greater part of his career picking up the kind of prize money to make ends meet that the world’s top players probably spend on a five-star hotel room without pause for thought. 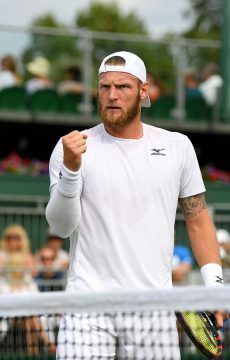 While Groth won’t begrudge the reward that came with his solid first outing of the year – it is the second-biggest tournament earner in his singles career – the experience and confidence that came with his run to the last eight in Brisbane are bigger bonuses. 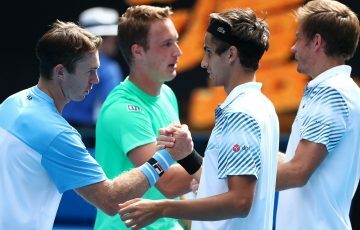 The world No.174 may have got lucky with world No.20 Kevin Anderson’s withdrawal with a virus before their second-round encounter on Thursday but Groth still had to overcome a higher-ranked opponent in French lucky-loser Pierre-Hugues Herbert to reach Friday’s quarterfinal against France’s Jeremy Chardy. And although Chardy proved too good with a 7-5 6-4 win, Groth leaves Queensland with a solid boost to his confidence leading into the rest of the season. “For me to come out and make the quarterfinal in my first tour event, the first event of the year, it’s a great platform for 2014,” Groth told AAP. “Some people didn’t realise that Pierre ranked above me last night. 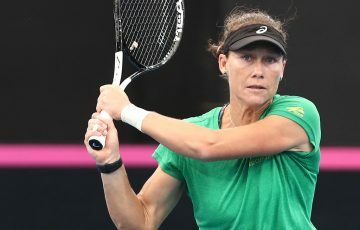 “For me it was tough as well because I came and I knew Kevin was sick but I wasn’t sure if he was going to play and then when I heard he was going to pull out I completely forgot about the lucky-loser situation for about five minutes. Groth’s display in Brisbane earns him 45 world ranking points, ensuring he’ll improve on his career-best current ranking and move closer to his goal of cracking the top 100. “The bigger thing for me this week was obviously making quarters, the confidence I take from that,” he said.